Keith Pierce has woven bands off and on for 40 years, but has practiced it seriously only since 2011, after joining the Weavers Guild and Banditos interest group. Now retired, he formerly taught mathematics and computer science, most recently at the University of Minnesota-Duluth, and practiced software engineering at several Twin Cities businesses. Tablet woven, 3/1 broken twill. I used 10/2 perle cotton that I dragged around the country for 40 years before resuming my tablet-weaving hobby. The band won the sweepstakes award in the category “Weaving, knotting, felting and caning” at the 2012 Minnesota State Fair. Tablet woven, 3/1 broken twill. 8/2 Tencel. I was inspired not only by the classic tale in Norse mythology but also by symbols of the ouroboros, depicting a serpent eating its own tail, or occasionally two serpents devouring each other. It won first place in the band weaving category at the 2014 Minnesota State Fair. 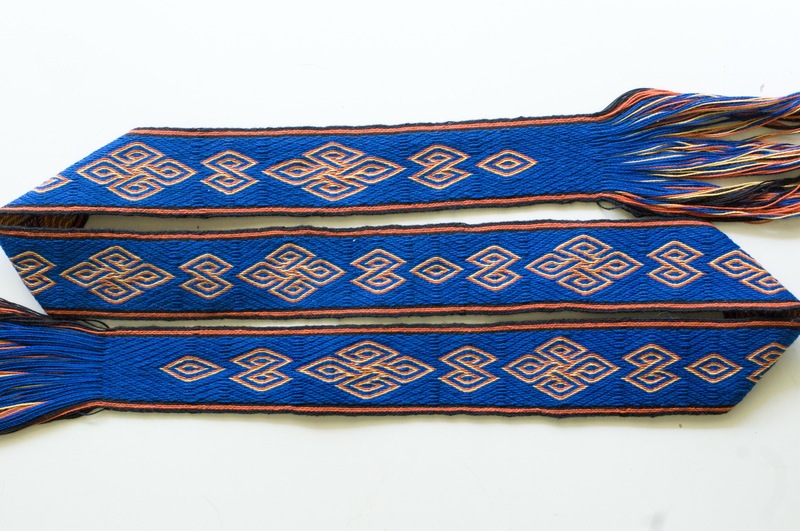 This belt with supplementary-warp pattern was woven on an inkle loom using warp pick-up. It is representative of belts on women’s costumes from Estonia. 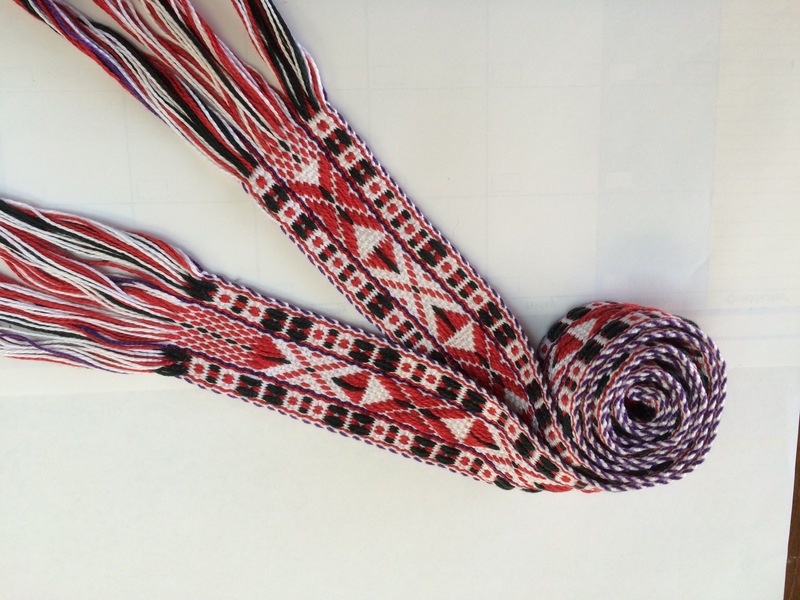 The pick-up technique and similar patterns can be found throughout Scandinavia as well as the Baltic states.